Considering Pragma-Dialectics honors the monumental contributions of one of the foremost international figures in current argumentation scholarship: Frans van Eemeren. 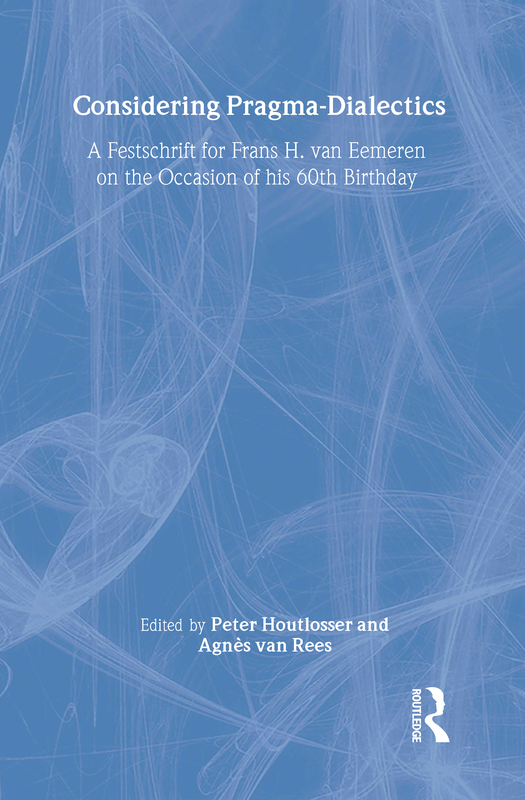 The volume presents the research efforts of his colleagues and addresses how their work relates to the pragma-dialectical theory of argumentation with which van Eemeren’s name is so intimately connected. This tribute serves to highlight the varied approaches to the study of argumentation and is destined to inspire researchers to advance scholarship in the field far into the future. As an exceptional volume and a fitting tribute, this work will be of interest to all argumentation scholars considering the astute insights and scholarly legacy of Frans van Eemeren. Pragma-Dialectic Versus Epistemic Theories of Arguing and Arguments: Rivals or Partners?